It seems crazy to me that so many Tourist Information Centres (TIC) have closed down – which they have if you hadn’t noticed. I rarely reserve accommodation, preferring the benefit of the freedom to choose, when and where to stay overnight, on arrival. Letting the TIC’s accommodation booking service do their best at the end of my walking day has balanced my luck and has been worthwhile for all concerned; I’m shown room availability matched against personal requirements, the TIC gets a fee (10% of the room tariff) and the inn, a last minute booking (less 10% of tariff). As a last minute booking there’s usually a discount too. TICs are a wealth of local information. 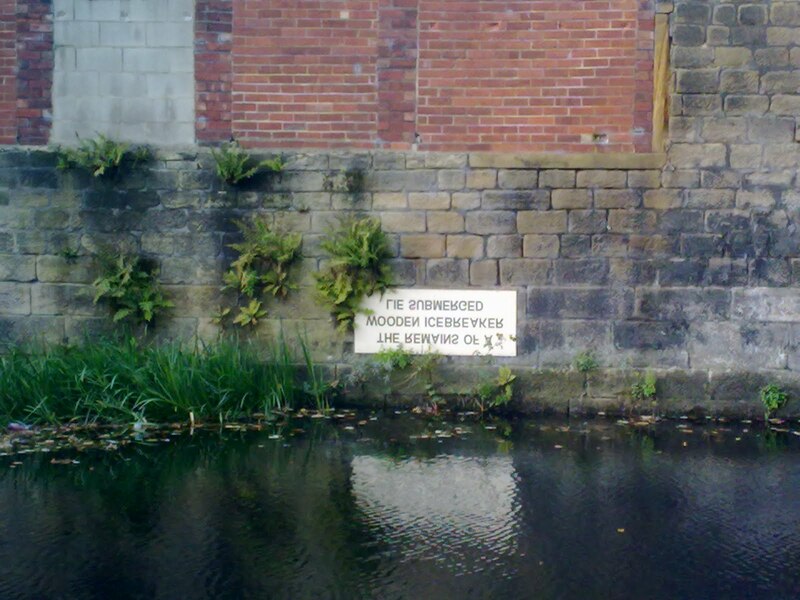 So, for me, on The Leeds and Liverpool Canal Towpath walk, TICs were sorely missed. And will be in the future too. RIP TIC. Finding accommodation was critical on this walk because I wasn’t carrying a tent, sleeping bag, food and cooker. It did feel odd but marvellously light; my pack was a very comfortable 15lbs or so. Prize winning item was the Golite Dome Umbrella. Lightweight (215g), unbelievably strong (bendy) and in strong wind/driving rain it feels indestructible. A backpacker with an umbrella might seem out of place (Hiram Holiday with a rucksack) but it does the business, like the TICs used to. Would I walk a towpath again? Yes. With a bit more research beforehand – I over relied on chance, even shorter distances perhaps giving time to visit local attractions, and a bed booked in advance as well next time round. Quite a few of the TIC's are being incorporated into Public Libraries now. My Sister in law works in a few in the Leeds area. Worthwhile checking where they are, and their opening hours, (which are also being curtailed) before the trip and then you still have the benefits of the late booking and flexibility. It's the cuts, dear boy! Seems like councils' bringing on a downward spiral; trim or cut the TICs and marketing when the towns and cities could do with more custom. Burnley Librarian pointed me to the worst hotel on the planet (Kierby Park Hotel) - part of the downward spiral. The reports on Trip Advisor read after the event rate it so bad it's compulsive reading. Blackburn library (where some kind of TIC has moved to) closed on Sunday when I arrived. Black finger posts, with signs that cannot be swivelled, still pointing to previous loc of TIC, had me going for a while. The GoLite dome umbro is one of our most important pieces of kit. The difference between being damp or wet through. Never walk without it. Even on occasions when it has been blown inside out it just goes back to shape ok. Sometimes though, on occasions, when walking into a strong wind it has a tendency to start to close. Easily resolved though with a bit of ingenuity. I always try & patronise the TIC ... e.g. most recently I remember Pickering & Holmfirth in the last 6 weeks, although a wander in to pick up a few leaflets & a quick browse through a book for sale in the latter didn't do their trade any good. Maybe that's whats wrong & why they are closing as an occasional fridge magnet won't pay for their wages. They need to think of more inventive methods with their sales stock, as places less familiar than the ones I mentioned struggle to compete with either customer recognition of a place or more importantly internet booking sites. After a bad experience I had once in Weymouth based on my ex girlfriend booking a sea front hotel for a night, I joined trip advisor (constructive criticism I hasten to add not in the mould of that Channel 4 programme last night ... attack of the trip advisors !! ). In the last two years I haven't stayed at a bad one thanks to my research ... except the one booked by others when staying in a group !! Alan: I have a Golite Collapsible Umbrella as well. Heavier than the Dome (Golite spec is 305g with it's case - the case reads 25g on my cheap scales) but just as reliable. A compass in the handle too! J: Agree. Clever, enthusiastic marketing. And locally produced fridge magnets.